The word ‘castle’ invariably strikes many of us about Europe. Although castles have been everywhere in the world yet how can one not think about the larger than life castles of Great Britain (Ireland and Scotland) and France which have witnessed history and endured through the time to retell the history. Well, Great Britain and France (and the other evident places) are not the only ones with these mesmerizing architectural wonders from history that survived through centuries to become the great heritage of modern times. 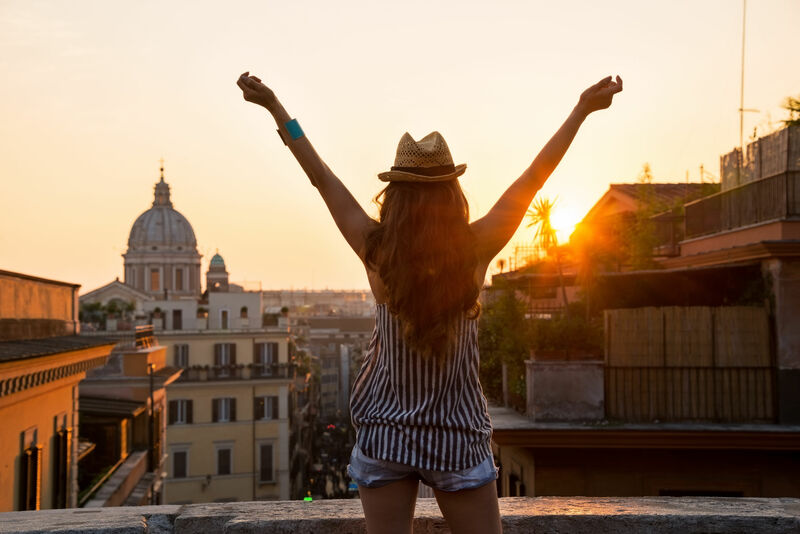 A country which is least known for everything else than its castles have some of the most ravishing citadels of the world, and that country is Italy. There are hundreds of castles in Italy but a handful of them are not at all worth a miss. So here we have jotted down the top most beautiful Italy castles, which can be said to be the best Italian castles that you just can’t miss on an Italian vacation. Although decommissioned in 1901, this 1900 years old citadel has witnessed the history of power, refuge, and incarceration. 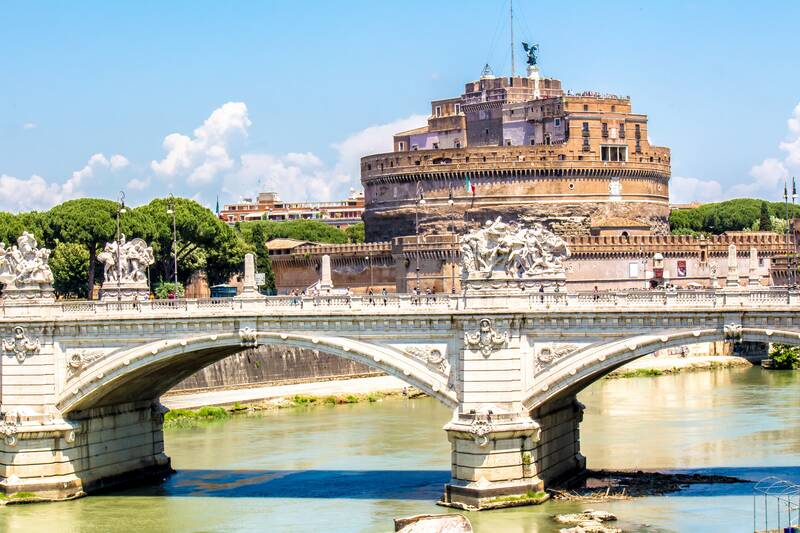 The construction of Castel Sant’Angelo started way back in 123 A.D. It was commissioned by the then Roman Emperor Hadrian who wanted it to use it as a mausoleum for him and his family. Later, the building was converted into a castle by popes and in the 14th century under the orders of Pope Nicholas III an 800-meter fortified corridor was built which is known as Passetto di Borgo that connected it to St. Peter’s Basilica. This castle in Rome was also used as a prison by the Papal state and executions were performed in the inner courtyard. In the year 1527 during the sack of Rome by Charles V of Spain the Passetto di Borgo helped Pope Clement VII to take refuge. Castel Sant’Angelo is a 5-storied building today, with a spiral ramp connecting the 5 floors. Etched in history by one of the greatest poets- Dante, Monteriggioni castle has a mention in one of the most popular works of the poet- the Divine Comedy. 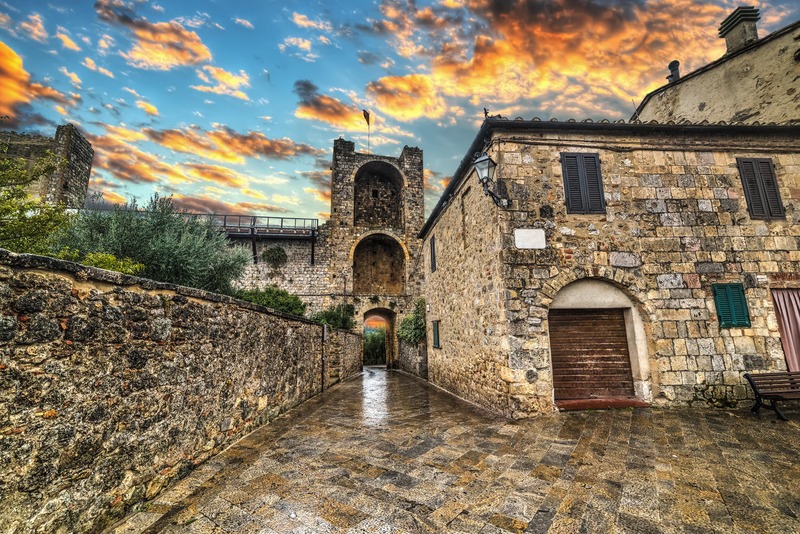 Although not situated in a city like Rome- a sanctum sanctorum of the Roman civilization, Monteriggioni is one of the beautiful Italian castles in the picturesque Tuscan region. It is actually a burg, situated on a hilltop in the province of Siena, and was built by Sienese from 1213-1219. The construction of the castle was strategic and thus actually was a fortification against Florence, as the period was marked by conflicts between Florence and Siena. Most of the burg is intact today with only a few changes made in the 16th and the 21st century. 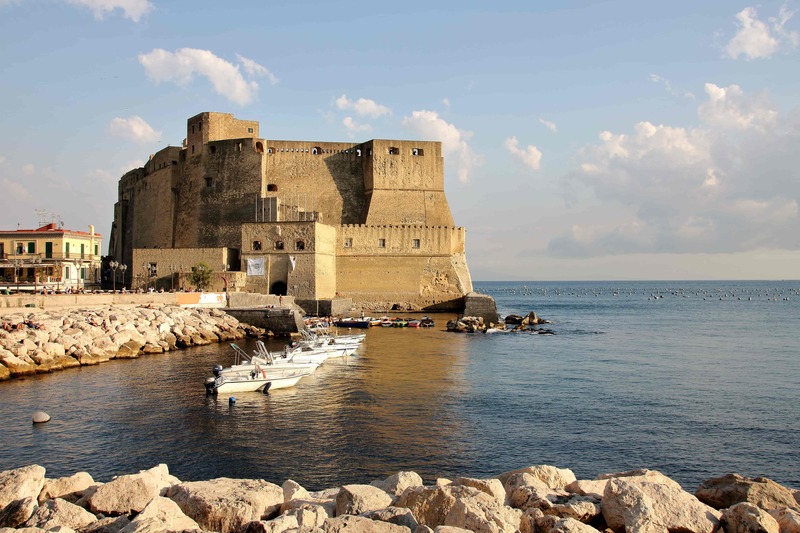 The literal translation of Castel dell’Ovo in English is ‘Egg Castle’ and the name has an interesting history about it. Located on a small peninsula, Megaride, a former island in the Gulf of Naples, Castel dell’Ovo according to legend is built on a magic egg buried by the ancient Roman poet Virgil. Virgil buried the magic egg in the foundation of the castle to keep it safe from destruction and proclaimed that the fate of the egg shall meet the fate of the castle and thus if the egg is destroyed, the castle shall also wreck. The castle was built in the 12th century by the Normans and was their position of power. Adjacent to Castel dell’Ovo is the museum of prehistory that showcases the remains of the ancient civilization that lived locally. The castle gives a breathtaking view as it overlooks the Gulf of Naples with Mt. Vesuvius in the background. Book your customized Naples Italy tours with Benvenuto Limos. Probably the remotest of all (castles mentioned here) is the Rocca Viscontea. 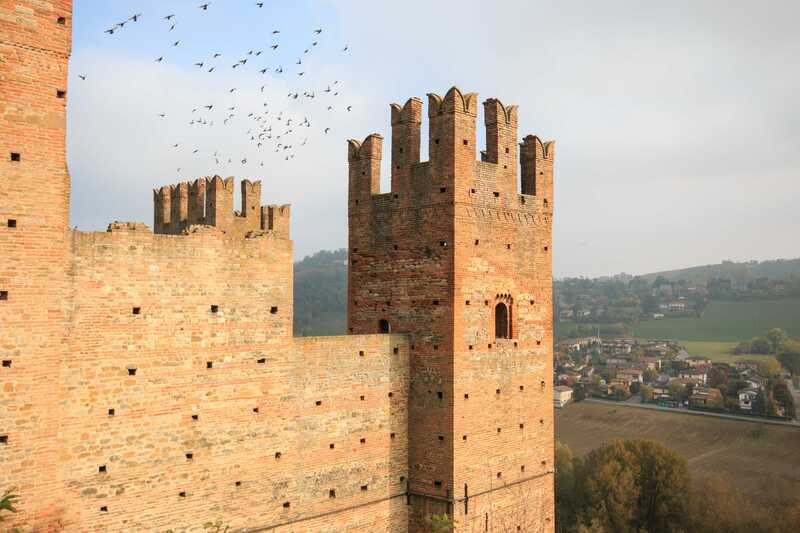 Located in the commune (town) Castell’Arquato in the province of Piacenza in the Italian region Emilia Romagna, stands more than half a millennium old castle Rocca Viscontea dominating the village and the valley Val d’Arda. The construction of the castle dates back to 1342 that was completed at the end of that decade in 1349 under the lord of Milan- Luchino Visconti. The details of the construction and the terms are extensively documented in the Registrum Magnum of the municipality of Piacenza. Rocca Viscontea houses the museum of Medieval Life and also is a part of Association of Castles of the Duchy of Parma, Piacenza, and Pontremoli which is a consortium of historic villas, castles, and fortresses. The castle is made of bricks and stones which gives a look no less than a towering and imposing castle on a set of a period movie with its dovetail merlons pointing to the sky and 3 drawbridges. Yet another picturesque Italian castle is the La Scarzuola which is a part of architect Tomaso Buzzi’s ideal city. Located a little north of Rome which often seems halfway (Florence and Rome) on the Autostrada 1 is the province of Terni. The rural town of Umbria in the municipality of Montegabbione in the province has the youngest castle of them all. The construction of which started in the year 1956 which went until its creator’s death in 1981. Around the land where the structure of this Utopian city stands was once an abandoned monastery. The deserted structure could pump up your adrenaline at points like the entrance and scare you at some spots. The mazed park surrounded by stairs gives it a look of a tiny amphitheatre with an eye sculpted on the wall (reminding of George Orwell’s Dystopian eye from the novel—1984) overlooking the park. Today, the park could be visited on prior appointments which are given by the current owners. The seemingly castle-less country has some of the marvellous and architecturally splendid castles apart from the more evident and popular things like authentic pizzas, ancient piazzas, tilting campaniles, world-famous sculptures, preserved paintings, historic cafes and much more. 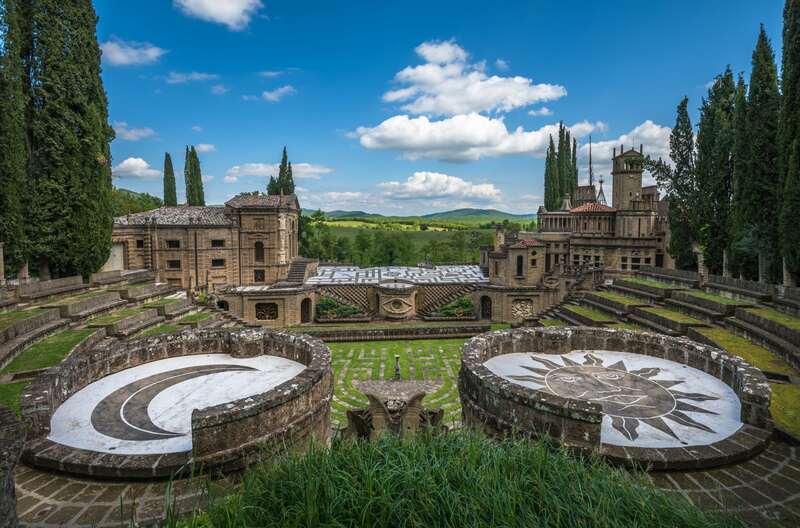 Visit these spectacular castles and experience the best of Italy. Book your Italian castle tour with Benvenuto Limos.